A technology created to facilitate the human activities in life. One is a future robot can replace human tasks. 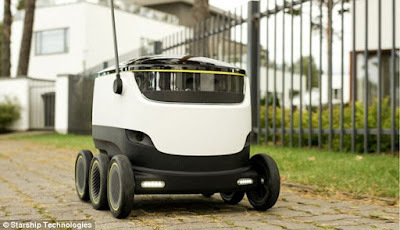 Not long ago, Google has invested in the drones project to deliver the goods to customer order. However, the steps taken by Google is different with one of the founders of Skype who believes the future of robotics is on the ground, not flying like drones. 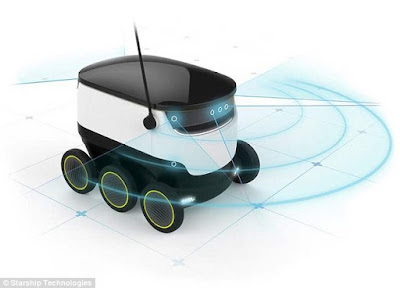 As reported by the Daily Mail, on Tuesday, December 22, 2015, a technology company named Starship Technologies is preparing for testing the self-driving delivery robots in London and several US states in 2016. "When you make reservations by online, instead of goods sent by someone who comes to your door, but you will get it with the robot," says Ahti Heinla, founder of Skype and CEO at Starship Technologies. Heinla added, the robot is not designed for long-range order. 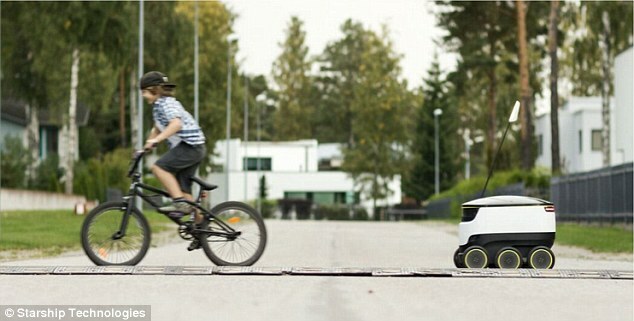 A robot that does not have this name has a small size, safe, practical, and free of CO2 emissions.